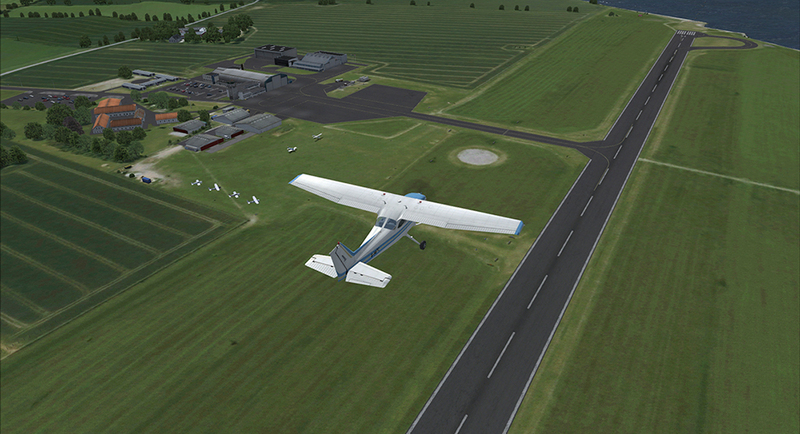 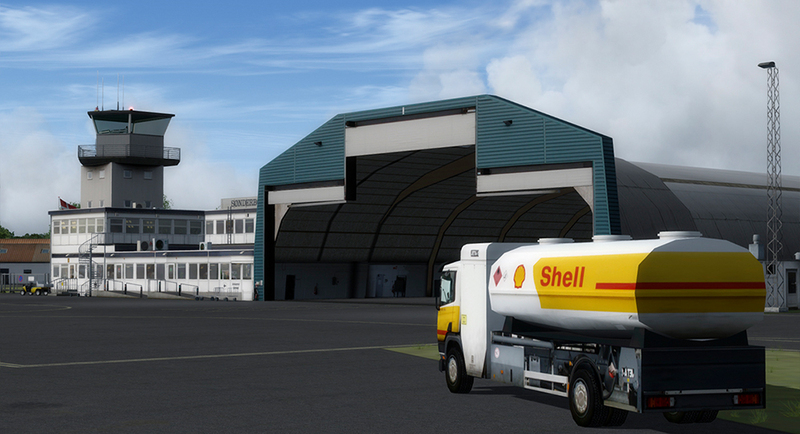 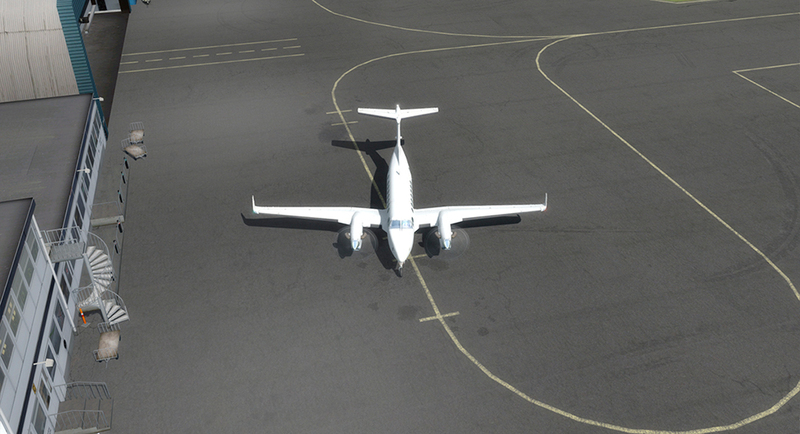 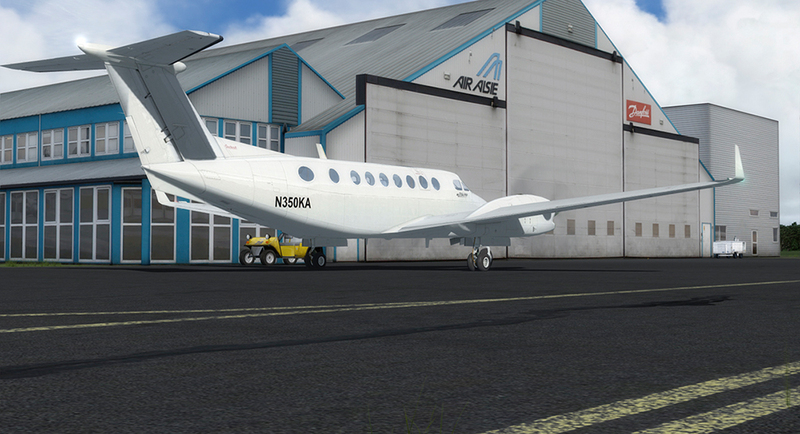 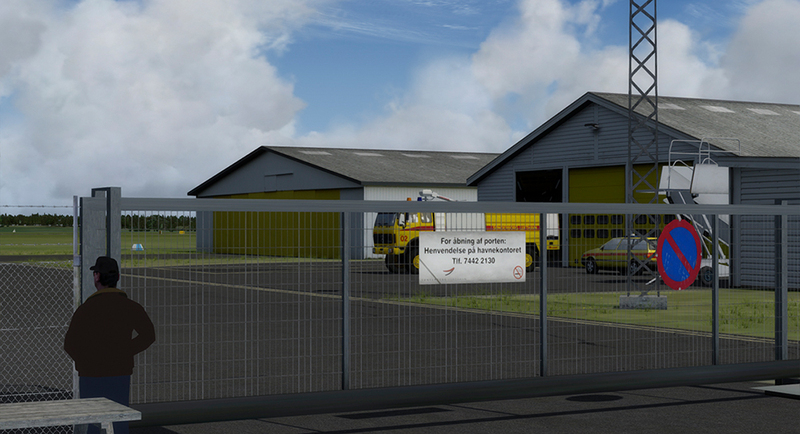 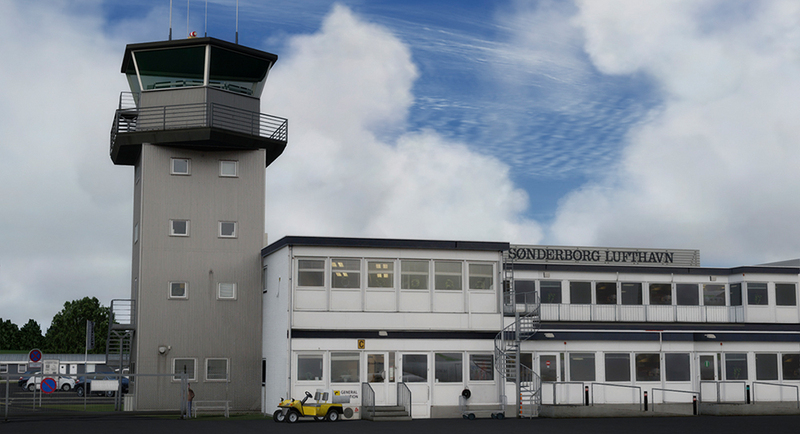 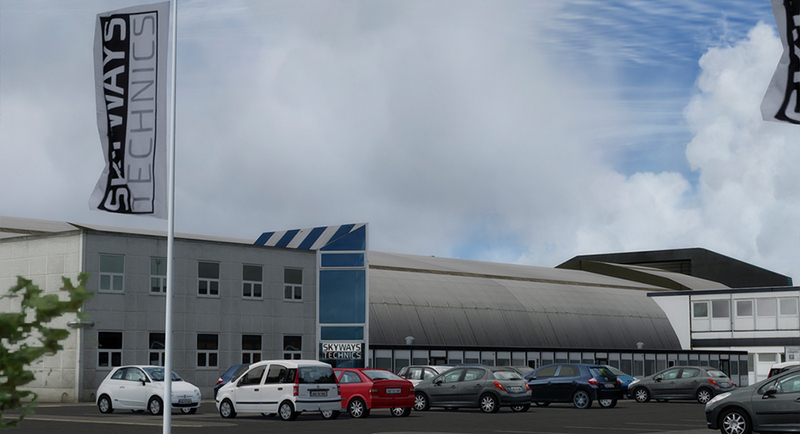 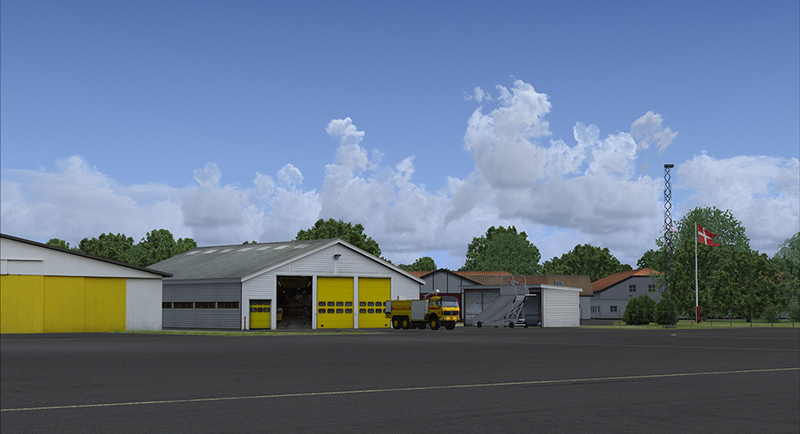 Sonderborg X is a realistic and highly detailed rendition of Sønderborg Airport (EKSB, SGD). 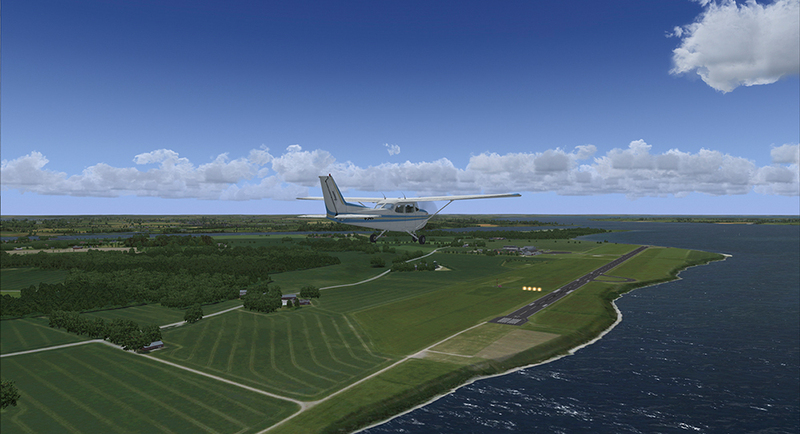 The airport is located on the island of Als in Southern Jutland, Denmark, a few kilometers from Sønderborg City, next to the beautiful Augustenborg Fjord, and not far from the Danish-German border. 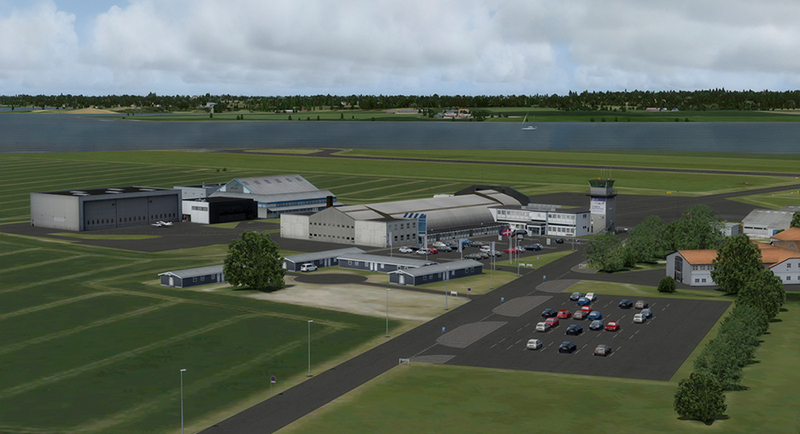 The airport has several daily flights to Copenhagen Kastrup Airport (EKCK, CPH). 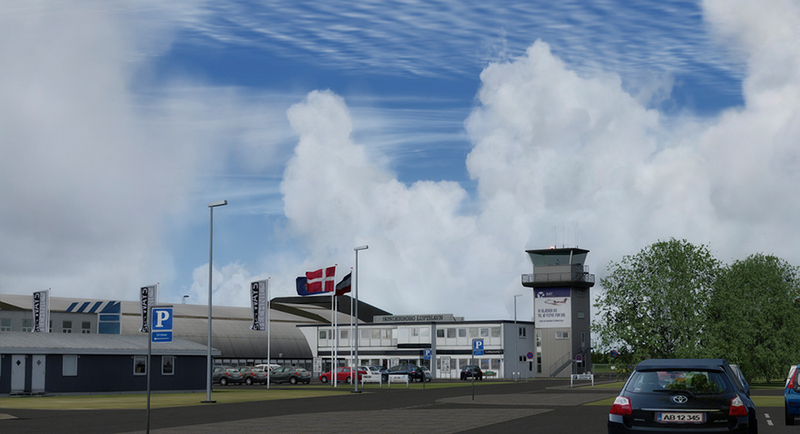 The route is operated by Danish Air Transport, DAT. 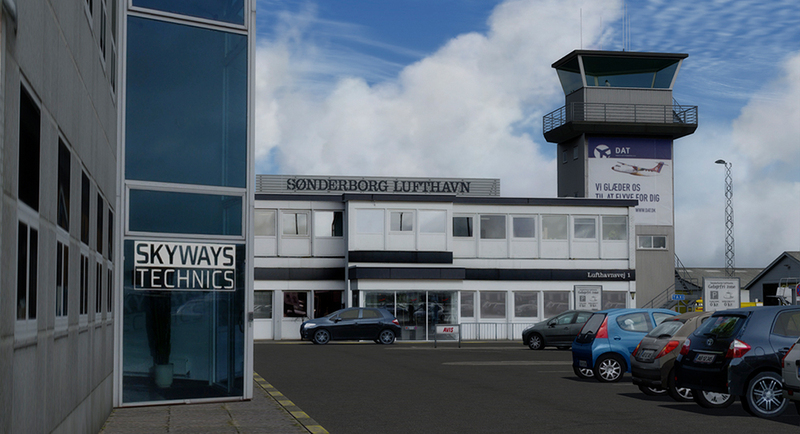 The flying time bet9ween Copenhagen and Sønderborg is about 40 minutes. 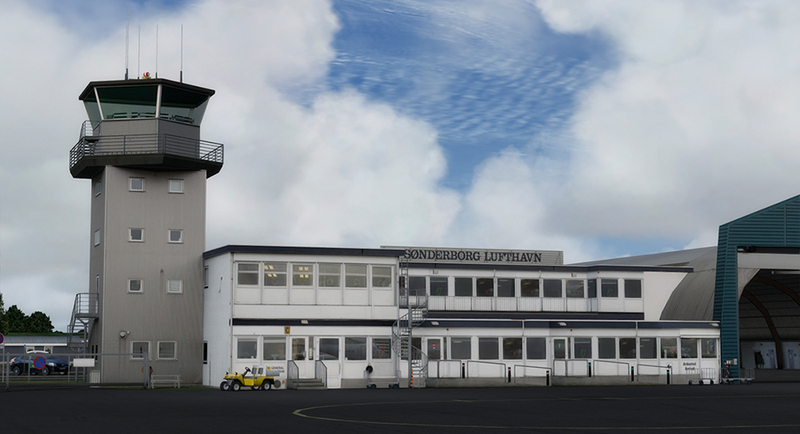 Sønderborg Airport (EKSB, SGD) was established in 1966. 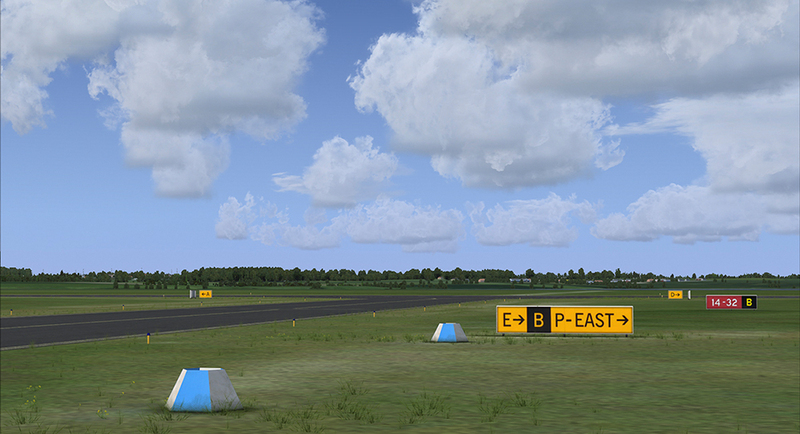 The airport has a 1,800-meter runway, which can be used by aircraft such as the Boeing 737. 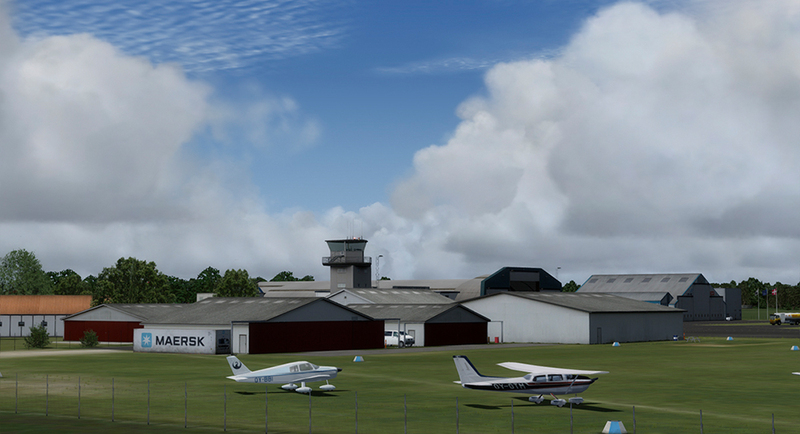 The control tower and the runway is well equipped with modern navigation aids and the airport can be operated in virtually any weather. 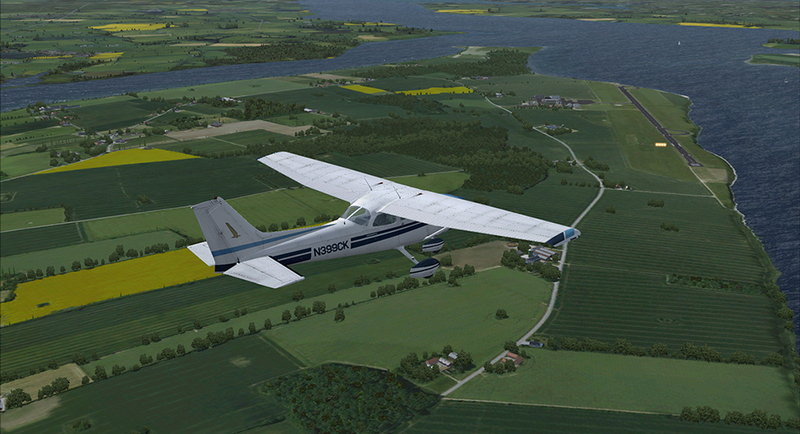 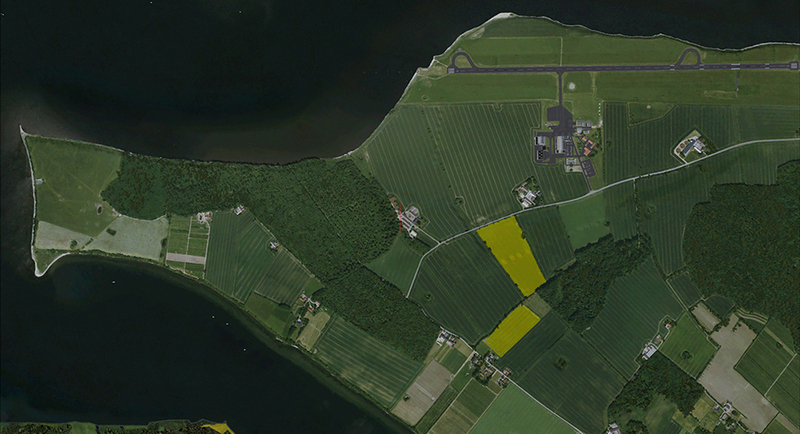 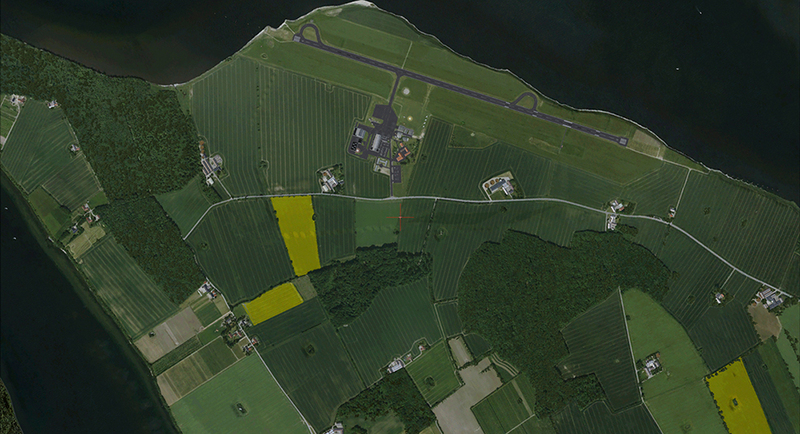 Sonderborg X is compatible with ORBX FTX Germany North. 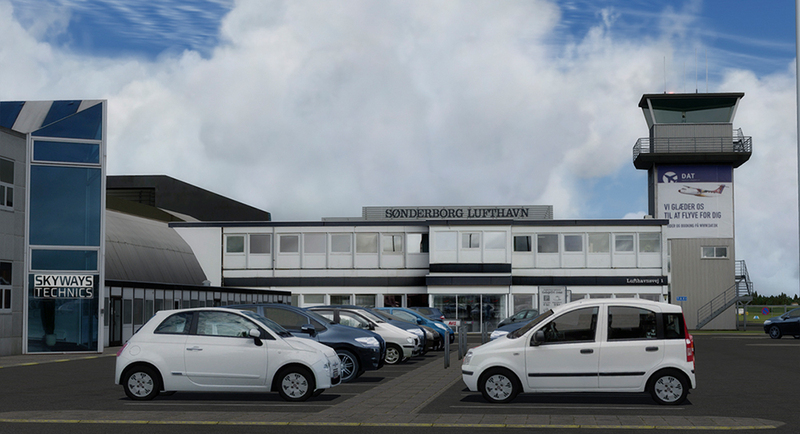 Related links to "Sonderborg X"